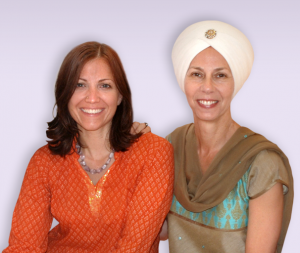 It has been a year since we opened our doors, and in this first year Siri Bani Kaur and I, Siri Ram Kaur Khalsa, (co-owners) have shared an intriguing observation—Kundalini Yoga Boston clearly has a life of its own. Consistently, resources manifest when we need them; obstacles are quickly overcome; and all in all things happen with remarkable ease. We do our best to consciously accept and embrace the momentum. 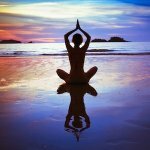 I remember, on the night of our grand opening, when twenty seven people piled in the yoga room, it occurred to us that the “life”, the perpetual motion that we were feeling in those early days and months, was actually the beam of each and every student and prospective teacher already destined to walk through the KYB doors. Over the past 12 months, the pace of the momentum has accelerated and it’s been magnetic. 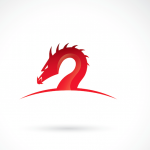 We are open 7 days a week and offer approximately 20 classes a week. KYB is cozy intimate space, which means some classes now require making reservations in advance. (Not a bad problem to have in your first year!) We still delight in the excitement every time someone new arrives, especially when they say, “I am so grateful you are here.” And universally, people love the space which includes a beautiful art gallery featuring the work of local artists. To our surprise given today’s art market, we are actually selling work. Getting to know those who are now coming to practice on a regular basis is one of most satisfying aspects of running the studio. We decided to honor their commitment by offering our first Kundalini Yoga Level One Teacher Training with Lead Trainers, Mahan Rishi Singh and Nirbhe Kaur from the Princeton area. The training will begin the weekend of October 15 and will run for 10 consecutive months. 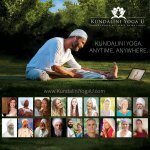 More information about the KYB teacher training can be found on our website at www.kundaliniyogaboston.com. A beautiful community is forming at KYB, in part, as a result of weekend sadhanas, potlucks celebrations, Friday night kirtans, and the most awesome workshops. On a monthly basis, local teachers have offered their areas of expertise as well as teachers from across the miles including Dr. Siri Atma Singh and Nam Kaur of Santa Barbara, Shanti Shanti Kaur of Espanola and Gurunam Singh of Virginia to name a few. This past weekend Angels of Awakening, a stunning new ensemble of musicians gathered together by Dharm Singh Khalsa of the Chocolate Maven restaurant in Santa Fe, graced our space with sacred chanting and exquisite instrumentals. The next day, Snatam Kaur and her husband, Sopurkh Singh taught a moving and transformative workshop called “Life, Love, Gratitude.” At Saint Mary’s Orthodox Church, over 75 participants had the opportunity to experience their love and wisdom, and beautiful music. You could hear a pin drop when Sopurkh Singh told the story of how he won Snatam’s heart. It was a precious and rare opportunity to be up close and personal with them both. The celebration of our First Anniversary includes a free Mantra Jam with Gurusangat Singh and Potluck dinner on Saturday, September 10 from 6:30 p.m. until 9:30 p.m. On Sunday, September 11 from 9 a.m. until 7:30 p.m. we will be offering free yoga. We will end the day with another Mantra Concert that will feature Gurusangat Singh and Ajeet Kaur. Come and celebrate with us. The spirit to connect with each other and our higher selves has brought us together in this time and space to enjoy these timeless teachings. We welcome this experience with open arms and an open heart and look forward to all the richness that lies ahead at Kundalini Yoga Boston.